I have posted several articles about saving the world in our website. Various foods such as sweet potato, taro, cassava, moringa, and mulukhiyah (jute), are plants that are easy to cultivate, easy to grow, and full of nutritional value that help global food shortage. The PYRO-ENERGEN group has all of these plants in our backyard garden and farmland. 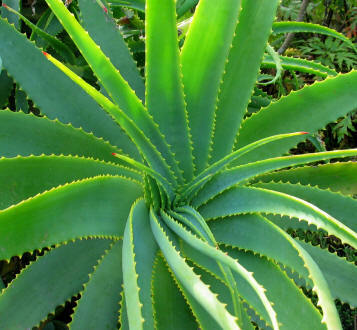 This time, I like you to draw attention to another plant frequently cited as an herbal medicine that may eliminate practically all maladies you suffer—the Aloe Vera. One of the sayings goes "Two tablespoons of aloe vera juice a day keeps the doctor away. "—and it really does. Aloe vera is commonly grown as a simple ornamental plant for your room or garden because of its attractive flowers and leaves. But it is also widely known as a plant that works wonders in terms of medicinal uses. 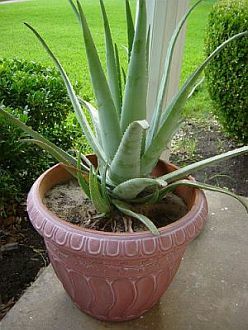 We strongly recommend that you plant aloe vera without any hesitation. What Can Aloe Vera Do to You? These are just a few out of hundreds of aloe vera uses, which will be explained in our future articles and will be posted in our website including "how to plant", "how to cook as nutritious food", "how to make aloe vera juice", and "how to use it as a home remedy". Why the interest in aloe vera? 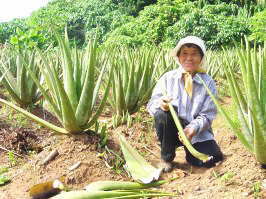 I became interested in planting aloe vera in our garden and farmland when I met a tribe in Okinawa forty years ago. They looked very healthy and have long life. Many are over 100 years old, yet they are actively working in the farm. They have shiny, smooth, and youthful skin with thick black healthy hair. As you may already know, Okinawans have the highest ratio of centenarians than anyone else in the world! I gathered hundreds of information about the medicinal uses of aloe vera, its ornamental uses, and culinary uses including recipes. As a matter of fact, we consume a lot of aloe vera. We grate and mix it with honey and ice water, and sometimes with whisky or local wine. You can also apply grated aloe vera externally for skin care. Use it to avoid sunburn, and for insect bites or allergy treatment. Now, I like to share these wonderful uses of aloe vera with you in order to save the world. Aloe vera is available just about anywhere in the world nowadays. Let's plant it and decorate your house with it, and let's live healthily for 100 years. 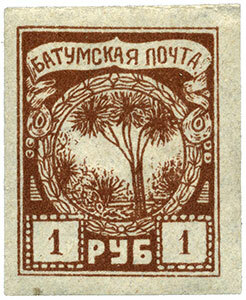 This is an aloe tree that appeared on stamps issued in 1919 by Batumi (formerly Batum), a semi-autonomous region of Georgia in the South Caucasus region.